Would you judge me if I said I was craving a wardrobe filled entirely with ss12 Topman? I loved the mixture of prints and textures (see photo 1). There were silky old school pajamas, micro paisley shorts and double breasted suits with cropped trousers. 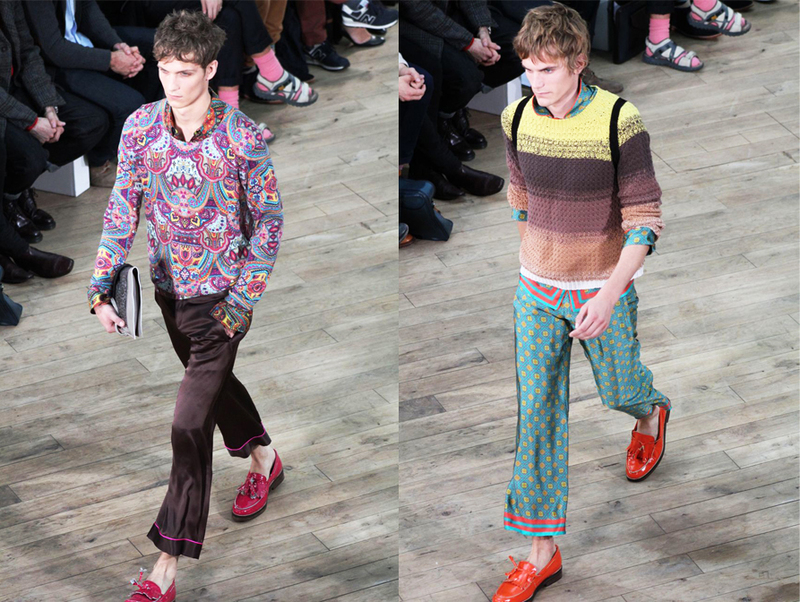 Then came the bright patent brogues, slubby 70s style knits and brash headache-inducing prints. Did I mention there were freaking awesome clutches and printed backpacks? Yah, it was good. I liked it, a lot. Don't get me wrong, I don't expect to see the men of England sporting these looks head-to-toe anytime soon. But if even a bit of this eccentric attitude works its way into their lives come spring, we'll all be better for it. 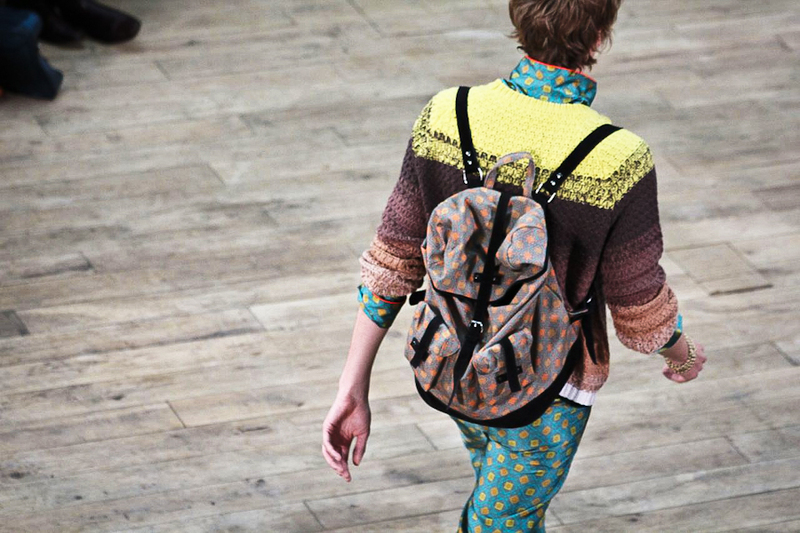 View full set of photos from the Topman Design show here.